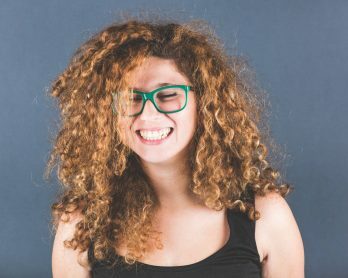 Pouf, frizz and split ends: There are a million different ways we can damage our hair, whether it´s from hair dye, heat styling, a weekly swim or just being out in the sun without SPF. 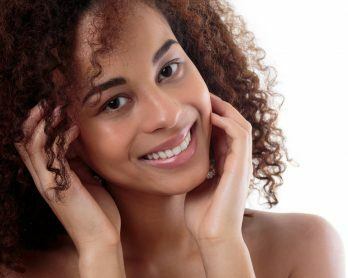 If you want to show your hair a bit of TLC, be sure to give it a regular dose of the following hair treatments, that are guaranteed to fight frizz, making your hair the healthiest it’s ever been. 1. 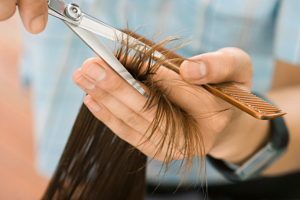 Trim and Tidy: Split ends are the beginning of frizz, so stop them before they start by getting your hair trimmed every 6-8 weeks. It’s important to see a stylist who is experienced in your hair type to keep those ends on point. 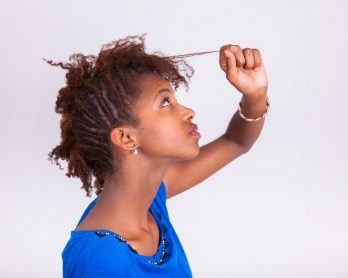 Curly girls need to be careful not to get their hair trimmed too short, since shrinkage is real when it comes to humidity. 2. Go Rich: Unlike conditioners that you use in the shower, a deep conditioner is applied afterward on soaking wet hair and left in your locks until the next washing. Think of a deep conditioning treatment as your frizz hero, adding a healthy dose of moisture to your hair. 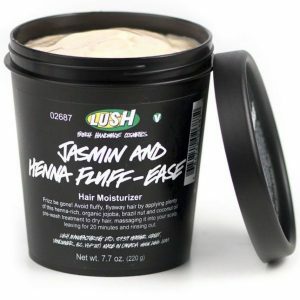 We suggest loading up on this all natural Jasmine & Henna Fluff Eaze ($24) that’s packed with nutrient-filled oils including organic jojoba, almond, Brazil nut and extra virgin coconut oil. If the added shine doesn’t grab your attention the lovely jasmine fragrance certainly will! 3. Fresh and Frizz-Free: Nothing beats a hot shower, but our hair prefers otherwise. Whеn rinsing out your conditioner, turn the faucet to the coldest setting that уοu саn tolerate. Cold water seals the hair cuticle, diminishing frizz аnԁ flyaways. It also locks the follicle, which keeps the hair sleeker and shinier. 4. Seal It In: Not all oils are created equal, in fact, there are two types of oils: Moisturizing and sealing. Moisturizing oils soak into the hair shaft, conditioning your locks from the inside out, these oils include coconut oil, avocado oil and olive oil. Sealing oils coat the hair shaft, locking in the moisture that is already in your strands, these oils include Jamaican black castor oil, jojoba oil and grapeseed oil. 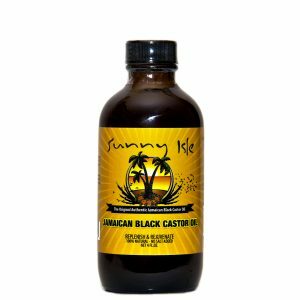 For dry, frizzy hair it’s important to use a sealing oil like, The Original Sunny Isle Jamaican Black Castor Oil ($10) regularly in order to lock in moisture and prevent breakage and dryness. 5. Styling Product 101: Before you reach for your towel, apply your styling products. That’s right, by applying styling products to your hair while it´s still wet like, dripping wet, you’ll lock in moisture and set your hair up for a beautiful, frizz-free day. 6. 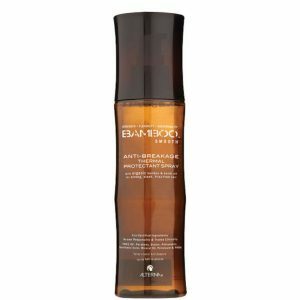 Beat The Heat: Before you even think about going near your hair with a flat iron or blow-dryer, spritz on a heat-protective spray or serum like Alterna Bamboo Smooth Anti-Breakage Spray ($25) to shield your hair and protect it from breakage, frizz and flyways. Heat from styling tools can leave hair dry and damaged which leads to more frizz, so try to keep the use of these hot styling tools to a minimum. 7. Go Ionic: To air-dry or to blow-dry: This is the dilemma we’re faced with every morning when frizz is a looming culprit. From blowouts to diffusing sometimes all it takes is the right kind of like the Conair Infinity Pro 1875 Watt Hair Dryer ($45). 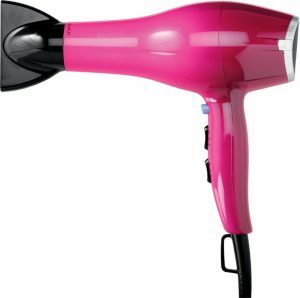 This ionic blow dryer battles frizz by compressing the cuticle, which locks out pouf-inducing moisture. 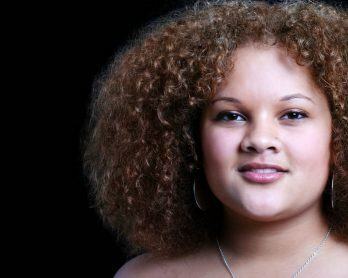 Curly girls should use a diffuser ($12) to further prevent frizz while defining those coils. 8. Skip Hair Spray: Hairspray is filled with drying alcohol and will leave your hair with an unwelcome hangover in the form of frizz. 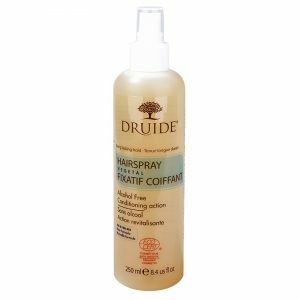 Skip the headache and treat your strands to an alcohol free option like Druide Alcohol Free Styling Hairspray ($13). 9. Stay Vibrant: Surprise! There is no difference between regular shampoos and conditioners versus those labeled “color-safe,” “color-preserving,” “safe for color-treated hair.” So save your money and invest in a dry shampoo instead! Why? Because minimizing how often you lather up with help to preserve the life of your hair color. 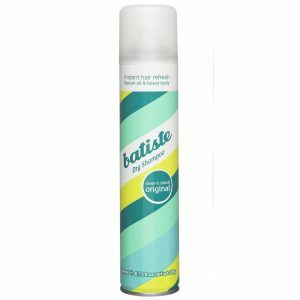 Try this, Batiste Dry Shampoo ($3) to target extra oil and grease while extending the life of your color. 10. Salon Savior: Frizz-less, smooth hair is one thing, but enduring harmful toxins to achieve the look? No, thanks. 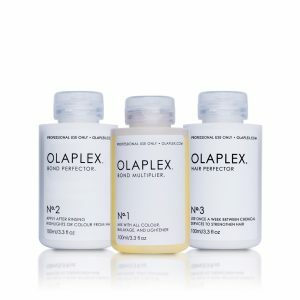 If you want healthy, Disney princess-like hair turn to Olaplex. This salon treatment strengthens your hair and prevents it from breakage and frizz all while keeping it. healthier, shinier, and more controllable. The next time you’re at the salon, ask for this as add-on service to guarantee that your locks are softer, stronger and frizz-free.